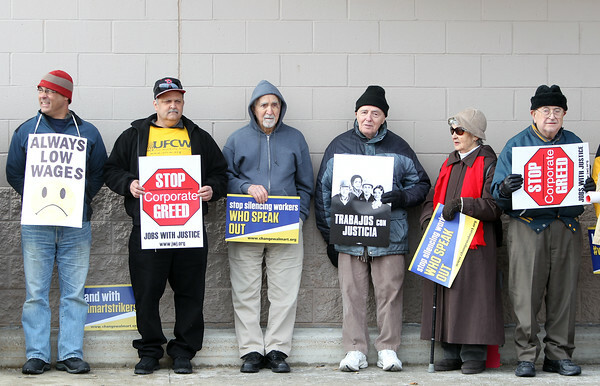 Protestors for better pay and work conditions at Walmart stood outside the Danvers Walmart location on Andover Street on Friday afternoon, joining the nationwide protest on Black Friday. DAVID LE/Staff photo. 11/28/14.